Interview with former Black Panther Thomas “Blood” McCreary and Frank Chapman | Fight Back! Thomas “Blood” McCreary is a veteran of the Black liberation movement of the 1960s and 70s, having been a member of the Student Nonviolent Coordinating Committee (SNCC), then the Black Panther Party (BPP), and then the Black Liberation Army. Today he continues to press for release of the former Panthers who are still in prison, many for 45 years. He also advocates for the dropping of the cases against the Panthers abroad, including Assata Shakur. Frank Chapman is the Field Organizer of the Chicago Alliance Against Racist and Political Repression. 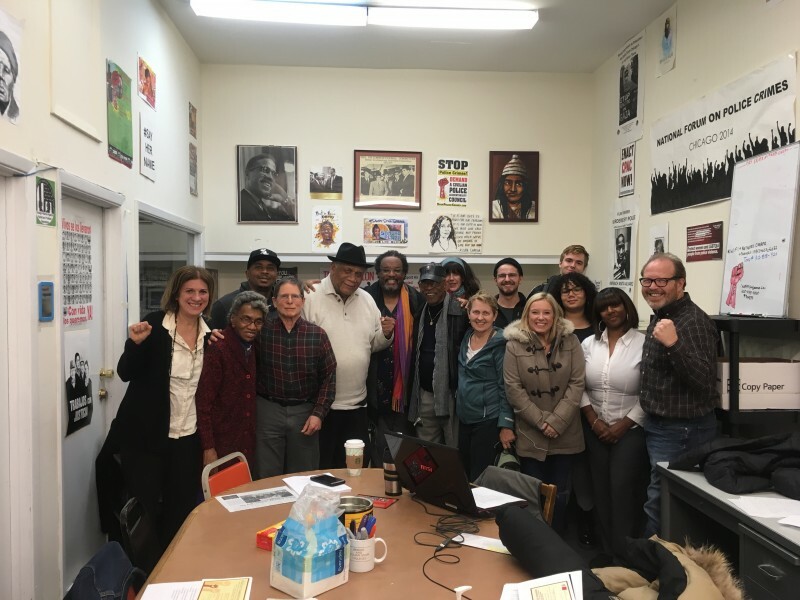 McCreary was in Chicago for an event celebrating the 50th anniversary of the founding of the Illinois Chapter of the Black Panther Party and agreed to an interview with Fight Back! Fight Back! : Tell us about how you got involved in the movement, become a political prisoner, and lat-er started working for the freedom of other political prisoners. Thomas “Blood” McCreary: I became involved in the liberation struggle in this country after returning from Vietnam in 1967. I started working with SNCC, and in 1968 I went to working with the Black Pan-ther Party, about a year and a half later. We did what the Panthers usually did: breakfast program and housing for kids, medical care, transportation for families to visit prisoners. I became a member of the BPP in New York City. There was a lot of intense law enforcement surveil-lance of our activities. Unbeknownst to us, later it was proven that there was a counter intelligence program waged against the BPP. Through COINTELPRO, a lot of people ended up dead, in exile, framed and in prison. That was just another way that the government was trying to break the back of the liberation movement by us having to exert time, energy and resources to defend people on trumped up charges. I became a political prisoner in 1972. I was captured in Saint Louis, Missouri. I was paroled after five years. When I came out, I got involved in trying to liberate other comrades who were doing long prison sentences. Angela [Davis], her case had been a very highlighted case, and I knew she had been a member of the L.A. chapter of the Panthers. We were mainly concerned with getting Elmer Geronimo Pratt out of prison at that time. One of the encounters I had with Angela and Frank took place in Birmingham, Ala-bama. She agreed to get involved in Geronimo’s case. She agreed she would visit him, but as it turned out, Gi thought it would be best if she didn’t come in because San Quentin was threatening to send him further away, and his family was close to San Quentin. Frank Chapman: In response to that meeting, McCreary convinced me to visit all the Panthers who were in prison. We visited with a number of Panthers, mainly in New York: Anthony Bottom, Dhoruba Bin Wahad, Nuh Washington, Bashir Hameed, and those visits convinced me, and to this day, that our organization needed to be involved in this great fight. McCreary: Anthony Bottom is one of the longest-held political prisoners. [Bottom was convicted and sentenced to two life sentences based on circumstantial evidence.] He comes up for parole some time after the first of the year. His co-defendant, Herman Bell was released in April. After Bottom, the longest-held prisoner is Sundiata Acoli, Assata Shakur’s co-defendant, arrested dur-ing the New Jersey turnpike incident in 1973. Assata had seven or eight other cases, and she was ac-quitted on all of her charges. It seems to me that if the other cases were false, and they were the rea-son she was on the run, we should call it even. Sundiata Acoli is 81 years old. At his last parole hearing, they told him to come back in 15 years. They want him to die in jail. Of course, Assata was liberated from prison and she lives in Havana. Fight Back! : What is the campaign that needs to happen to free these remaining Panthers and all polit-ical prisoners? McCreary: In New York State, how we won the release of Herman Bell is we got rid of the members of the parole board. Some of the members of that board had been appointed by Governor Rockefeller [who served from 1959 to 1973]. We’re trying to end the practice of the Police Benevolent Association giving impact statements at the parole hearings. Also, we have to include support for the exiles, like Assata Shakur and Pete O’Neal. In terms of support, we need letter writing. In letters to prisoners, ask them specifically, “What is it I can do?” In New York, we have an annual dinner with about 600 people, families of the political pris-oners and supporters. Last year we raised about $6000 to split among the political prisoners. 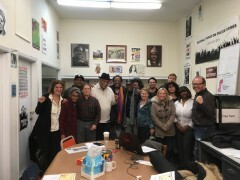 Chapman: We should use our historical experience freeing other political prisoners, such as Reverend Ben Chavis, Joanne Little, and Johnie Imani Harris. One effort by Jazmine Salas, a new leader in the Al-liance in Chicago, is organizing a campaign to send holiday cards of solidarity to prisoners to let them know we will make it a priority in our work to struggle around their cases. We will also work with the Jericho movement for amnesty and freedom for these political prisoners.